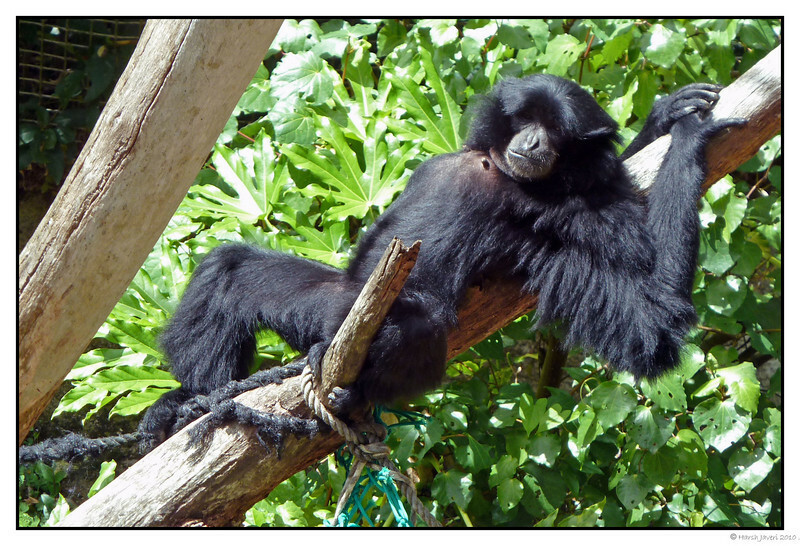 The Siamang tends to rest for more than 50% of its waking period (from dawn to dusk), followed by feeding, moving, foraging and social activities. It takes more rest during midday, taking time to groom each other or play. During resting time it usually uses a branch of a large tree lying on their back or on their stomach. Feeding behaviors, foraging, and moving are most often in the morning and after resting time. True brachiators too -- super shot. Yawn - great shot of a sleepy monkey !!!!!!!!!!!!! Another great capture from this Zoo, which sounds like an absolutely awesome place! He does indeed look relaxed!